Have you found yourself in a situation when you are not growing any muscle mass, although you are investing your all in training? There is a range of factor that might have put you in this particular predicament. We offer you a list of 7 factors that may have hindered your muscle growth. Intensive training leads to muscle breakdown. Each time you put them in overdrive, you also need to provide them with sufficient time to recover from the inflected damages. Consequently, it’s best to train each muscle group once or twice a week. While you should maintain high level of intensity, your training sessions should not exceed the hour mark. 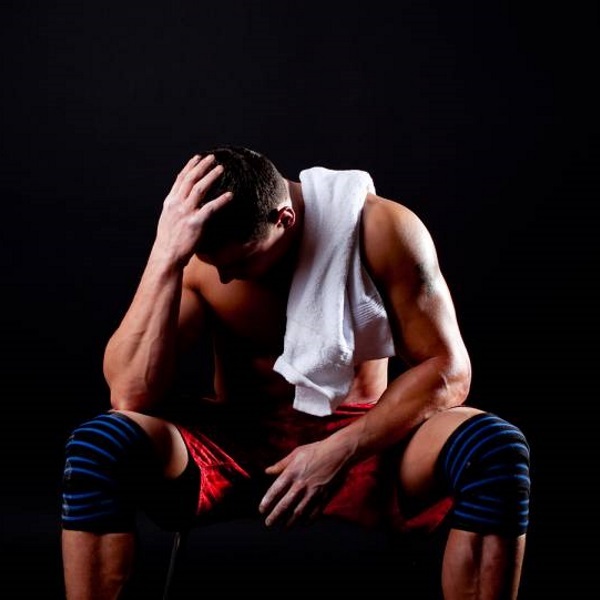 This is due to the fact that cortisol levels rise after 45 minutes of intensive workout. One of the nasty properties of this hormone is that it destroys the muscle cells. Good night sleep is one of the topmost requirements for good muscle growth. Sleep provides the muscles with time to recover and grow. Providing your body with 8 hours sleep every night will prompt muscle growth. Alcohol can destroy your muscle mass and has a range of other health adverse properties. After 6 or 8 weeks of doing the same workout protocol you must change your routine. Muscles are known to adapt to workout routines, and as a result, their growth is halted. To achieve steady muscle growth you need to gradually increase either the reps or the weight each next training of a specific muscle growth. Otherwise, you rob your muscles of the reason to grow. Proteins are the basis for building big muscles. Lack of proteins will result in hindered muscle growth. The recommended dose is 1 gram of protein for each pound of body weight. So, if you want to stimulate your muscle growth, pack your diet with protein rich foods, or supplement your protein intake with shakes. All in all these are the 7 major factors that might have caused your muscles to stop growing. Knowing them, and learning how to deal with them will help any average bodybuilding beginner overcome the main obstacle in fast muscle growth.